I am here today with a little something different than usual. I am joining up with some other lovely ladies to bring you some fabulous mason jar holiday crafts today. Then tomorrow you are going to be able to link up your fabulous holiday mason jar creations right here on Crafts with Jars. 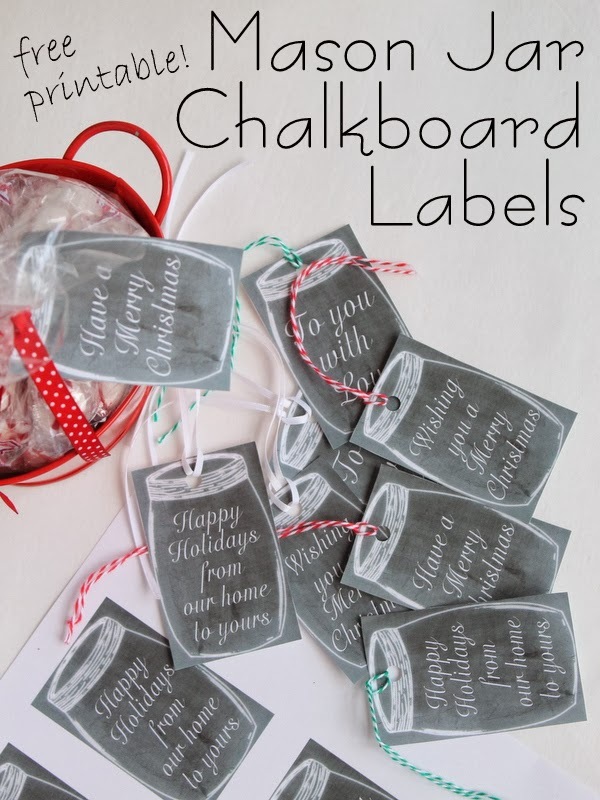 Today I have for you some free printable mason jar chalkboard gift tags that will be perfect to add to any gift you are giving this holiday season. Be sure to scroll down to the bottom of this post and see the other lovely mason jar creations from the other blogs joining me as well! Start by clicking here to access the printable and print your labels on white card stock. The cut out the labels with scissors and tie on some twine or ribbon. 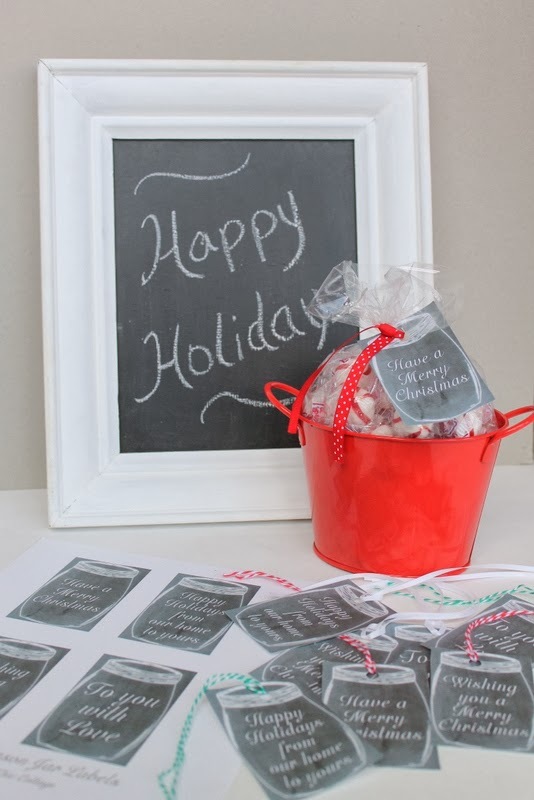 Add your tag to any holiday gift for a fun and festive mason jar touch. You can add a "TO" and "FROM" on the back of these labels if you wish. I can see these labels on all of your gifts this Christmas. Under your tree there will be a sea of fun mason jar tags. Sounds like the perfect dream right? 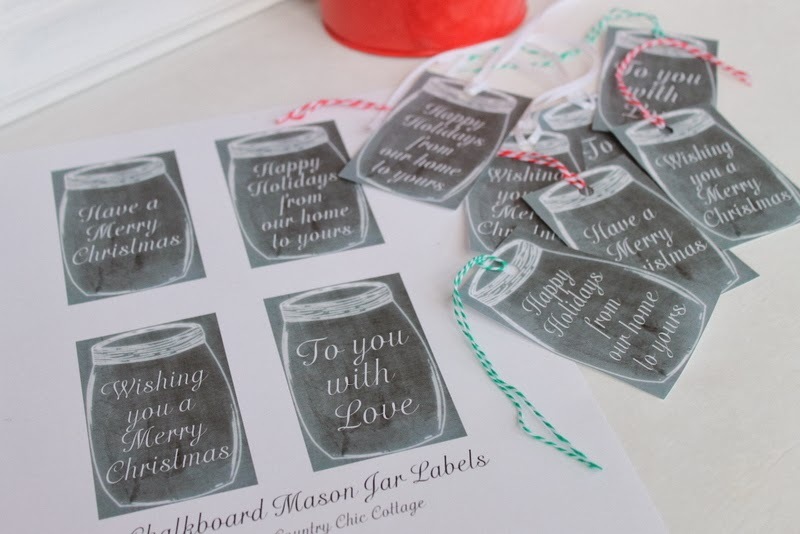 Now print your own free printable mason jar chalkboard gift tags today. Ready for some more mason jar fun? This is actually day 2 of our holiday mason jar craft extravaganza. You can check out day 1 on The Country Chic Cottage if you missed it. 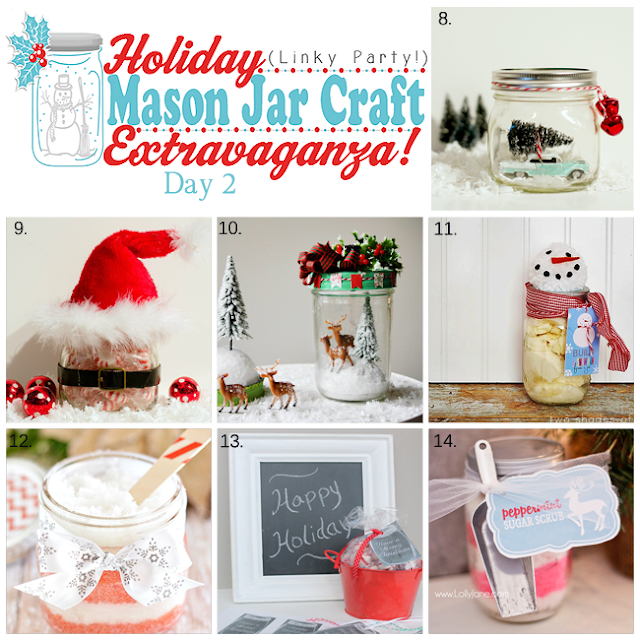 Don't forget to come back tomorrow to link up your own holiday mason jar crafts! Really adorable (and useful!) idea, Angie. Thank you... I'll be using them! I just adore these gift tags!!! You are so amazing and I'm thrilled to be mason jar partying with you this holiday season! 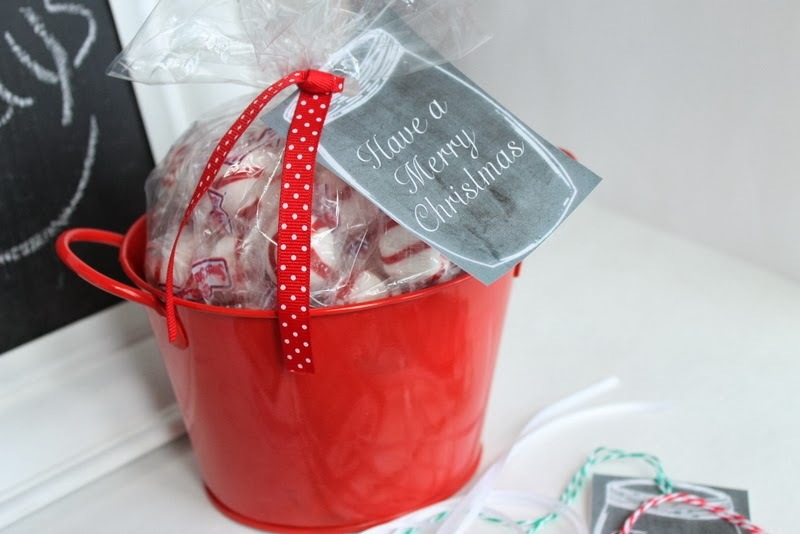 a perfect little tag to brighten up any gift!! SO Cute! Thank you Angie!! Your labels are so adorable Angie! I just love them! Thank you so much for these cute tags, love them. Thanks ever so much! Happy Thanksgiving and Merry Christmas! What cute and useful tags ~ I love them Angie! So cute! I want them for gift tags! Does your black ink run out quickly? I printed quite a few and did not have an issue. I guess it would depend on how many you want to print?